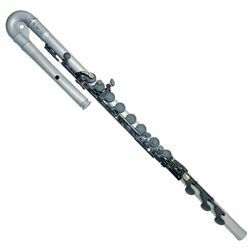 The Guo New Voice Tenor is an affordable option for anyone looking for a bass flute. It is made entirely from high polymer plastics which make them incredibly light weight. This makes them ideally suited young players who would like to play in flute choirs but can’t manage the weight of a traditional bass flute. Unlike other flutes, these instruments are also available in a variety of colors.